Dyne Systems pioneered digital technology in the dynamometer industry. They provide customers with precise, stable and repeatable dynamometer and throttle control, custom test-cell integration and accurate data acquisition. Dyne Systems manufactures Midwest(tm) and Dynamatic(tm) Water-Cooled Eddy Current Dynamometers, and other dynamometer systems used in testing for Research and Development by engine and motor manufacturers worldwide. The Metrex temperature-actuated variable flow valve is standard for the cooling inlet of all wet-gap designs. 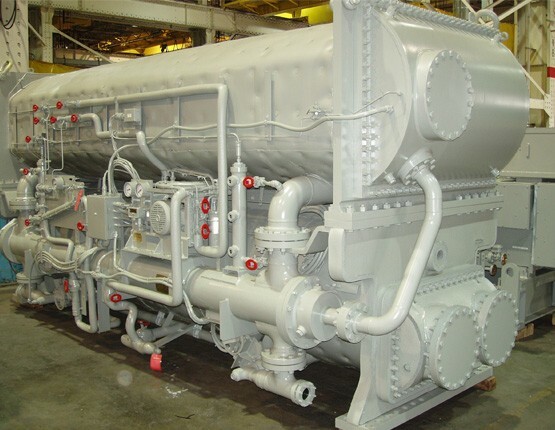 YORK Navy Systems is a specialized division within YORK which addresses the Global Navy HVAC/R market. Today, YORK Navy Systems offers the expertise of some of the best-known navy HVAC/R companies in recent history such as: Metrex Valve, Sabroe, Stahl, Novenco, Hi-Pres, as well as our own YORK Navy staff. Together, we can meet your heating and cooling needs, worldwide. The resources available to YORK in terms of experience, innovation and equipment are unequaled. With more than a century of experience, Electric Boat has established standards of excellence in the design, construction and lifecycle support of submarines for the U.S. Navy. Primary operations are the shipyard in Groton, CT, and the automated hull-fabrication and outfitting facility in Quonset Point, RI, with a current workforce of 11,300 employees.